Brussels, Belgium, 2017-Aug-05 — /Travel PR News/ — The Directorate General of Aviation (DGLV) has awarded the European EASA (European Aviation Safety Agency) airport certificate to Airport Company. The DGLV herewith officially confirms that Brussels Airport meets the latest and strictest European aviation standards in the area of equipment and aviation safety. Brussels Airport is the first airport in Belgium to have been awarded the new European EASA airport certificate , six months before the deadline of 31 December 2017. In total, 581 European airports must satisfy the requirements of the new EASA regulation and obtain the certificate before the end of this year. Airports receive an EASA airport certificate, on the one hand, when the infrastructure and the operational aviation processes of the airport meet the legal and regulatory safety requirements and on the other when the airport works with a solid and adequate safety management system. This Safety Management System must allow the airport operator to permanently monitor and meet the safety requirements, and must also enable the airport to manage the risks using a pro-active safety policy. The Safety Management System at Brussels Airport consists, among other things, of daily inspections of and checks on the airport infrastructure and operations to assess whether all activities take place according to the international safety demands. Whenever a change to the infrastructure or work method is planned, experts undertake a thorough analysis to see whether the envisaged change continues to satisfy the legal requirements and whether at a minimum the existing safety level can continue to be met. “With the award of the EASA certificate, the regulators confirm that Brussels Airport Company is able to closely monitor its safety level and is working towards continuous improvement. All employees with a job that is safety critical are repeatedly trained and tested. For this Brussels Airport has, among other things, introduced innovative technology, such as vehicle simulators. Our working methods, training programmes and campaigns are regularly adopted as good practices by other airport operators in Europe, the Middle East, Asia and Australia”, says Arnaud Feist, CEO of Brussels Airport Company. For example, to help drivers become accustomed to driving on the airport site between moving aircraft, Brussels Airport has vehicle simulators. The drivers can practise in a realistic 3D airport environment, outside the operational environment, for example when driving in very poor visibility conditions. 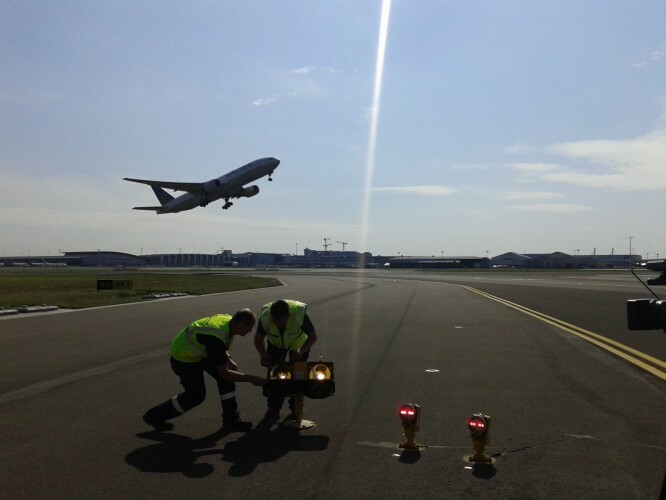 Together with partners we organise awareness-raising campaigns which are intended to keep all staff fully informed and to remind them of the possible dangers that can arise during their work on the airport grounds. Brussels Airport Company also has an internal and external audit programme, whereby recognised auditors specialised in airport operations and safety carry out audits every 3 years. For this, sixty parties are audited. Any shortcomings that are found during the audits are followed up and solved using action plans. The European EASA certificate (pursuant to Regulation (EC) No 216/2008 and Regulation (EU) No 139/2014) replaces the former ICAO Annex 14 certificate. Please contact by mail to media@brusselsairport.be or on +32 (0)2 753 53 53. This entry was posted in Adventure Travel, Airlines, Airports, Business, Hospitality, Travel, Travel Agents, Travel Management, Travel Reviews, Travel Tips & Info and tagged Arnaud Feist, Brussels Airport, DGLV, Directorate General of Aviation, European Aviation Safety Agency, European EASA airport certificate, Safety Management System, vehicle simulators. Bookmark the permalink.